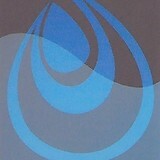 At Aaron Kramer Plumbing, customer satisfaction and experience are everything. When you call a plumbing technician, you are looking for someone who is going to take your plumbing concerns seriously, and who has the experience and expertise to handle those concerns effectively. With Aaron Kramer Plumbing, you are hiring a company with thirty years of experience. We are licensed, bonded, and insured in the state of Ohio. We are also licensed in the cities of Dayton, Kettering, Oakwood, and in Montgomery County. We have the skills, integrity, and the ethical standards you expect when hiring a plumbing professional. Aaron Kramer Plumbing began over twenty-five years ago with two purposes in mind, to establish a steadily growing business in order to support a family and to provide the best possible customer service to address the plumbing needs of our most valuable asset – you, our customer. Cincinnati Plumbing Service For the past 30+ years, BEST Plumbing Service of Cincinnati has served the area by providing the highest quality plumbing repairs and installations throughout the entire area. We take pride in being a family-owned and locally-operated business. Whether your sewer lines, water lines, faucets, drains or toilets need servicing, our team of licensed plumbers are equipped with the best knowledge and experience to get the plumbing issues resolved. 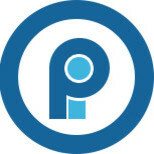 Plumbing Installers are Miami Valley's premier plumbing and remodeling contractor. Our plumbing services are available to residential customers in Greene, Clark and Montgomery counties. Other services such as decking, fencing, remodeling and more are available statewide. We pride ourselves on delivering the highest standards of work in everything we do, and our no quibbles guarantee means we stand by every job we undertake. Our friendly team of experts are always available to discuss your requirements. My name is Chris Adams, and I am the owner of Narrow Path Plumbing, a family owned and operated business located in Xenia, Ohio. 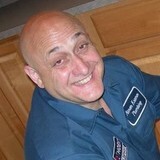 I have over 20 years of experience in the plumbing field, so starting my own business in 2011 was a natural choice. I am a certified plumber and a backflow specialist. I am very passionate about customer satisfaction and delivering quality work. Our number one priority as a plumbing company is our customer’s satisfaction. We believe in leaving the work area spotless so you will never know we were there. You can count on our expertise to do the right repair the first time. We strive to give our customer’s quality, affordable work no matter how big or small the job. We handle all the standard plumbing maintenance including drain cleaning, water heaters, and repiping. In addition to plumbing maintenance, Narrow Path Plumbing also specializes in new construction, bathroom renovation and now installs Bliss Walk In Tubs. Whether you need emergency plumbing service, are replacing existing equipment or converting to a new system, we will work with you to provide what you need for your home or business. We are licensed, bonded, and insured in Ohio and take pride in our work and take responsibility for the satisfaction of our customers. 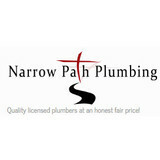 Narrow Path Plumbing is proud to offer a full range of repairs for all your plumbing needs. If you reside in Dayton, Cincinnati, or anywhere in between, we offer prompt and dependable plumbing services. Call us today at (937) 623-2619 to request a free quote or to schedule an appointment. Hawley & Hawley Plumbing has been serving Preble County since 1945, offering fair pricing and reliable service. Call today to schedule your FREE estimate with one of our technicians. There is 24/7 emergency service. There are larger plumbing companies, national chains, and smaller ones for sure, but none like Nieman Plumbing when it comes to serving Greater Cincinnati's home and commercial plumbing needs. Everyone at Nieman works hard and smart for our customers. We always put them first, using the most current methods and equipment, professional and personable technicians, and exemplary products and fixtures to provide the best overall value in Cincinnati plumbing services. With a company history dating back to 1975, Nieman Plumbing is a family-owned plumbing contracting corporation that prides itself on unmatched customer service delivered through a highly trained, certified and fully-insured staff of plumbing technicians. We're about more than just fixing leaks and clogs. We're about hiring great people, using the latest equipment, partnering with the best suppliers, and delivering the greatest, guaranteed value for all our customers. So whether you're a new customer looking for an estimate or their leaky faucet fixed, or a long-standing, 3rd-generation customer who knows our reputation first hand, go with Nieman Plumbing, Cincinnati's premier plumber. Mike Lemke, a Master Plumber has over 25 years experience. His Christian values are reflected in his integrity. You can trust that what he says...He will do. Mike is building a legacy business for his whole family. Family traditions and dedication to God and his craft make your choice of hiring Lemke Plumbing a wise decision! Copper Pipe Plumbing Service Inc.
Copper Pipe Plumbing Services Inc. is a full service commercial and residential plumbing company that provides services to the greater Cincinnati and Dayton, Ohio area and beyond. We have more than 25 years experience! Have plumbing problems ... give us a call. We are the name you have come to trust for honest, experienced and dependable work. Our company specializes in plumbing, heating, cooling, electric and remodeling work. Since 1884, our family has been providing exceptional service to the people of Greater Cincinnati. We're proud of that history and prouder still that we have managed to maintain the high level of exceptional quality and expertise for 130 years! Whether you need our help with a plumbing problem, an electrical situation, heating or air conditioning service, or want the bathroom you have always talked about, we are here to work with you! Miller and Sons Plumbing LLC. For top-quality plumbing services in Cincinnati, get in touch with the BEST plumbers. The company has been family-owned and operated for over 30 years and works very hard to ensure the safety and comfort of you and everyone under your roof. Whether you have a small leak or need a gas line replaced, you can count on the experienced team to complete the job correctly the first time. As a BBB accredited business, the plumbers are all licensed, bonded, insured, and highly trained to ensure that your plumbing system is in the BEST hands. 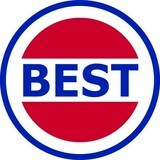 If you are in need of a plumbing team that guarantees all of their repairs, call BEST Plumbing Service of Cincinnati. Jerry's Plumbing Service Inc. has been handling all Residential and Commercial plumbing jobs in the Dayton OH area. We handle complete design and installations of residential plumbing systems, and some of our specialties include septic and sewer cleaning, electric water heater services, leak repairs and pipe cleaning to name a few. We are Gas Certified, Backflow Certified, so call us today! Our business is our livelihood but it is also so much more. Accurate Mechanical Solutions LLC was started to fill in a void in the current market and to make a business that the people of Cincinnati and surrounding areas can place their trust in. Over the years we have never lost our commitment to our clients and that is what has allowed us to succeed in a very competitive industry. We stand committed to our purpose as we stand committed to the people of Cincinnati and surrounding areas. A plumbing contractor handles the installation and repair of water, sewage and natural gas pipes throughout a home, as well as interior and exterior faucets and fixtures. Plumbing contractors are also trained to work with water mains, septic tanks, laundry appliances, water heaters, sump pumps and other plumbing and pipe systems. Because plumbing repair work is done largely behind walls and beneath floors, some plumbing companies can also patch or replace tile, stonework and other surfaces. Although some Dayton plumbers are generalists, others specialize in specific areas; a 24 hour emergency plumber will handle urgent residential repairs, while others may be more skilled in remodeling, natural gas lines, overhead sprinkler systems and more. Find a local Dayton plumber on Houzz. Narrow your search in the Professionals section of the website to plumbing contractors in Dayton, OH. You may also look through photos of Dayton, OH projects to find a licensed plumber who has worked on a project similar to yours. Here are some related professionals and vendors to complement the work of plumbers: General Contractors, Septic Tanks & Systems, Kitchen & Bath Designers, Kitchen & Bath Remodelers.